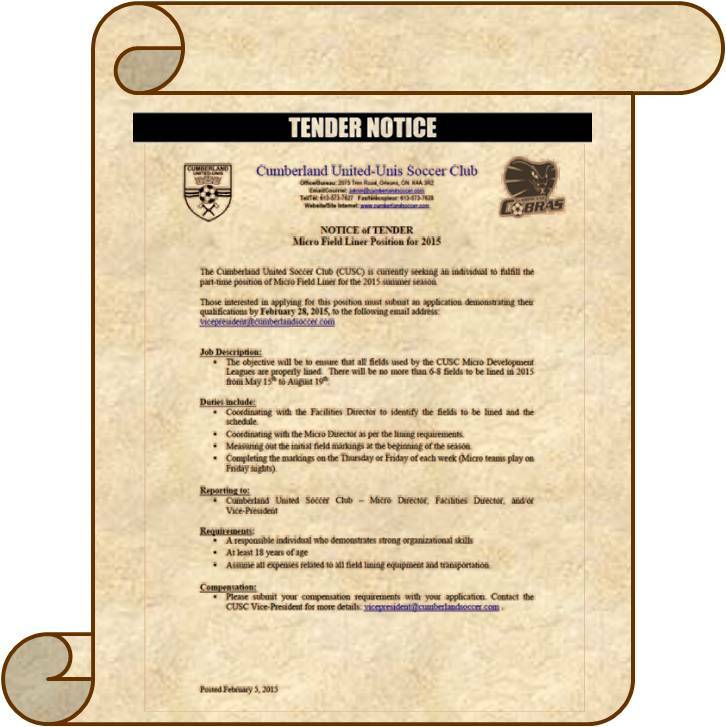 The Cumberland United-Unis Soccer Club (CUSC), a not-for-profit corporation registered in the province of Ontario, is seeking all qualified candidates to apply for the position of club administrator. Reporting to the Vice President and the Club Head Coach (CHC), this position will provide administrative services supporting all club programs from ages 3 to adult. In coordination with CHC and the Rec coordinator, oversee the administrative running of all development and recreational leagues. Provide general administrative support for those categories (e.g. finding and training convenors, creating teams and schedules, overseeing proper timelines of equipment, trophies, etc). In Coordination with CHC and VP, submit all facility applications on behalf of CUSC for programs across the entire year. Coordinate reschedules and adjustments as required during the year (maximum 24 hour turn-around during peak season from May-August). Constant Contact – creating and sending out newsletters and surveys under the direction of the CHC and BOD. ERSL, EODL, EODSA and OCSL: manage databases as needed, and act as point of contact for these organizations. Liaise with the CHC, coaches and team managers to obtain required information including certifications, player information, police checks, etc. Provide reference check-services on all competitive staff as required. Supervise and train part-time and contract staff during peak periods of data input. Producing material for the website when requested. Manage and maintain the Club office. Provide courteous and timely assistance to all clients. This includes answering the phone, responding to in-person requests and triaging emails. Provide administrative support to the VP and CHC as required, e.g. Reports, booking facilities, collect funds, etc. Related University or college degree preferred. Demonstrated administrative and organizational abilities. Friendly, patient, and customer oriented demeanor required. The candidate will often be the first point of contact for customers, and must represent the club in an outstanding manner. Competent and comfortable with basic computer software, including Microsoft office, etc. Experience with relevant software and systems a bonus: Power-Up Sports, OSA Aims, League GM, OSA databases, and Demosphere web-designer. Able to learn new software quickly. Has access to a fully insured vehicle and has a valid driver’s license for the duration of the contract. This will be a full-time position at the club with seasonal highs and lows in required hours. Remuneration will be commensurate to experience and qualifications of the selected candidate. Applications should be sent to vicepresident@cumberlandsoccer.com no later than September 30, 2016.